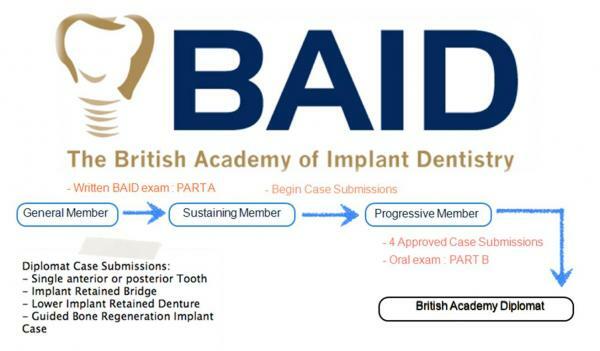 The British Academy of Implant Dentistry brings together the dental profession and patients. Its mission is for its members "To strive towards clinical excellence through the art and science of implant dentistry by providing more educational opportunities, and encouraging the sharing of knowledge among enthusiastic Implant Surgeons, Clinicians, Technicians, and Auxiliaries". Revision Course Amman, Jordan - Book Now ! Submitted by admin on Mon, 27/02/2012 - 22:51. Submitted by admin on Wed, 25/01/2012 - 11:48. Jan 25th 2012, 11am. The BAID website will have reduced funcionality for 72hrs, during which time improvements will be made to cope with the traffic coming to this website. Please contact BAID@live.co.uk if you have any questions or queries. Submitted by admin on Thu, 19/01/2012 - 21:46. Submitted by admin on Wed, 11/01/2012 - 06:03. Submitted by admin on Wed, 11/01/2012 - 05:22. BAID Diploma examiantion dates released for sitting in Erbil, Iraq. Diploma in Implantology: Online Case Submission (OCS) coming soon! Submitted by admin on Wed, 23/11/2011 - 17:15. Submit your clinical cases for consideration at least 6 weeks prior to BAID Diploma examination. Late entries will not be accepted. Online submission coming soon. OCS only available to Sustaining Members (see membership tier). Submitted by admin on Sun, 20/11/2011 - 10:33. Marco Esposito, European President of The British Academy of Implant Dentistry, and renowned author of more than 190 scientific publications in international peer-reviewed journals. His main research interests are the assessment of the effectiveness of various therapeutic interventions with particular emphasis on dental implants. Marco is worldwide well-known lecturer and leading speaker and author on evidence based dental Implantology. Submitted by Candice Link on Sat, 12/11/2011 - 12:16. See upcoming courses, leading to BAID diploma, in our EVENTS section. Submitted by admin on Sat, 29/10/2011 - 11:40. Vocational Training was developed in the 1980s as the ideal introduction for new dental graduates entering general dental practice in the UK. However, with the current scheme entirely focussed on NHS dentistry the increasingly important role of private practice has not been addressed by those planning VT, until now at least. Submitted by admin on Sun, 11/09/2011 - 11:45. 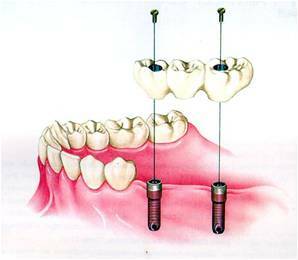 Are you a patient with any questions about dental implant treatments? Are you a dental professional who has any questions about dental implant treatment? OUR DISCUSSION FORUMS. ARE NOW OPEN- PLEASE TAKE A LOOK! 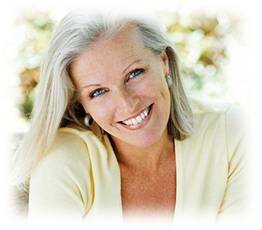 Thinking of having Dental implants? Nervous? The new British Academy of Implant Dentistry website could be your ideal source of information. Register for free today and discuss your options and concerns with Dentists online. In our online Library, you’ll find a growing collection of up to date information and FAQs. And you can use our Find a Dentist service to locate and contact your nearest Implant Dentist. Our site is also launching a range of services for Dental Professionals today, aimed at fostering greater communication and knowledge-sharing throughout the Dental Industry. If you are working or studying in dentistry, join the new face in Dental Implantology and its complimentary therapies - BAID. Improving and advancing professional standards from day one. Our website is also free for professionals, so sign up now and get involved. Be sure to use the correct forum, i.e. patients use the public forum, and dentists/technicians & auxillaries use the professional forum. Professionals must be logged in to view the professional forum. Our website is a great resource for both the general public and for implant dentists. Click a button to find out more. £260.00 - Early Bird Discount upto 6th March 2012 £325.00 - Closing Date 30th March 2012 £10.00 - Donate to our BAID Patient Donation cause-Help People Today! Search our growing database of Dental Practices. You can search by any word you like - for example, "Sheffield", or Yorkshire".